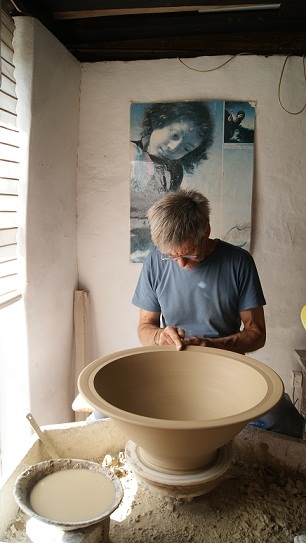 Andrew Walford will host an Open Day at his Studio in Shongweni on September 30 from 10h00 to 17h00. Walford will do a Throwing and Eastern style Brushwork demonstration at approximately 11h30 in the morning. Don't miss out on this opportunity to see the artist at work. Then enjoy delicious Vegetarian Breyani, Dhal and Salad and Dylan’s Delectable home-baked cakes will be on sale. Enjoy meeting friends in the wabi sabi rustic setting on the edge of Shongweni Nature Reserve. As always, hundreds of beautiful pots will be on sale. If you can’t make it, visit http://www.andrewwalfordpottery.com and you can purchase online. For further information, contact Leanda on 082 794 7796 or 031 769 1363. Directions: Shongweni Pottery Exhibition B9 MR 551 Shongweni. I kilometre past Shongweni Farmers Market.